Claim your own Chomp-n-Stomp digs now! Top floor, east facing, in one of Atlanta's most iconic buildings. 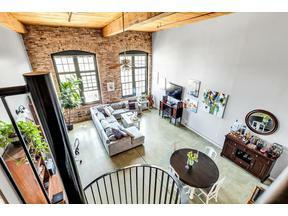 Striking, soaring ceilings with original beams and brickwork. Boasting a large master bathroom and closet as well as additional bedroom or office nook on the main level. 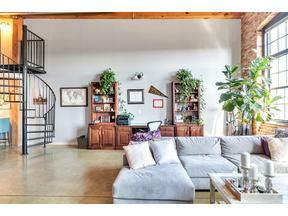 The elevator for the rooftop terrace is down the hall, the pool is out the front door, and the Beltline is around the corner. This one can't be missed!